Are You Considering An Auto Loan Modification Company? Just Say NO! By Allmand Law Firm, PLLC|2018-12-13T09:09:16+00:00August 13th, 2010|Car Loans / Title Loans|Comments Off on Are You Considering An Auto Loan Modification Company? Just Say NO! By Allmand Law Firm, PLLC|2018-11-14T21:25:22+00:00July 5th, 2010|Car Loans / Title Loans|Comments Off on Should I Reaffirm My Car Loan? Can I Reduce My Car Loan Interest Payments In Bankruptcy? 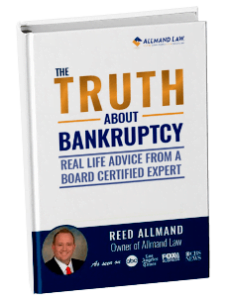 By Allmand Law Firm, PLLC|2018-11-16T06:25:08+00:00May 6th, 2010|Bankruptcy, Bankruptcy Q&A, Car Loans / Title Loans, Chapter 11 Bankruptcy, Chapter 13 Bankruptcy|Comments Off on Can I Reduce My Car Loan Interest Payments In Bankruptcy?